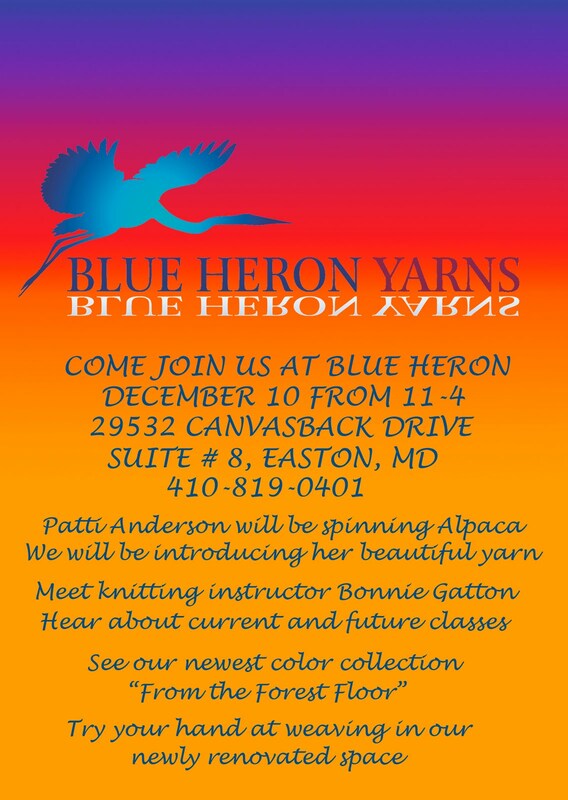 Come see the huge collection of Blue Heron yarn including yarns not available anywhere else, including my new wool collection "From the Forest Floor". You need to feel Patti's hand dyed, handspun Suri Alpaca yarn to appreciate it. Lots of good food and good people. 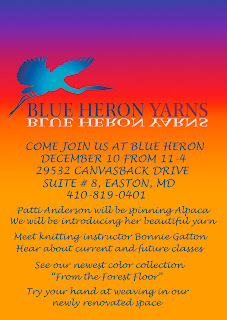 Call us for directions if you have not been to Blue Heron Yarns before.